Blue Ridge Rescue Suppliers is a small, locally-owned company that specializes in products used to enhance a variety of fire and rescue situations. Our primary focuses are: Honeywell First Responder Products, TNT Rescue Systems, Paratech, E-ONE, and FLIR. 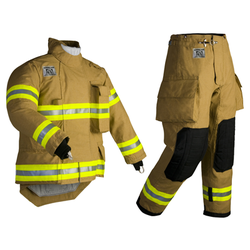 Honeywell First Responder Products (HFRP) is the leading manufacturer of head-to-toe personal protective equipment. Located in hey bring the world's cutting-edge technologies to the fire service industry. HFRP provides innovative solutions for the ever-changing challenges firefighters face daily, allowing them to execute their missions effectively, efficiently, and safely 100% of the time. They carry a full line of Morning Pride protective clothing, helmets, gloves, hoods, and boots by Pro-Warrington and Ranger. 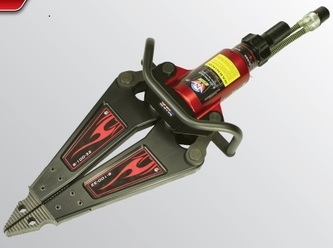 TNT Rescue Systems, Inc. is the premiere manufacturer of powered hydraulic rescue tools. Located in Ashippun, Wisconsin, TNT Rescue Systems designs, builds, and distributes the highest quality hydraulic rescue tools, provides a Lifetime Warranty, and supports the customer with the highest level of service. They are an ISO 9001:2008 registered company that builds tools to exceed the minimum performance standard of NFPA 1936. TNT Rescue Tools currently serve on Tactical Fire Fighting Trucks around the world. They are also the exclusive hydraulic tool through the Commercial Equipment Direct Assistance Program grant from Homeland Security. 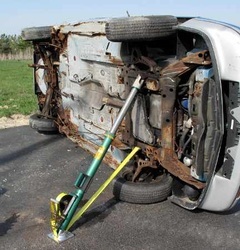 Paratech, located in Frankfort, Illinois, is an established manufacturer of an ever-increasing number of emergency services and specialty industrial products with a particular emphasis on tools for technical rescue. Traced back to 1963 and members of the Chicago Civil Defense, Paratech specializes in MAXIFORCE Air Lifting Bags, Rescue Support Systems, and the world-famous Forcible Entry Tools and Powered Impact Tools. E-ONE - E-ONE is a worldwide designer, manufacturer and marketer of fire rescue vehicles with more than 28,000 vehicles in operation around the globe. Established in 1974, E-ONE pioneered the use of extruded aluminum in first responder vehicles and continues to lead the industry today with innovative uses of this material along with our stainless steel product line. Headquartered in Ocala, Florida, innovation has been the company's driving force and continues to be the impetus behind its pursuit of new technologies. The result is state-of-the-art fire rescue vehicles recognized for superior firefighting and rescue capabilities. Just as important as their full product line is the fact that E-ONE engineers and builds the most complete vehicle - chassis, cab, body, tank and aerial device on the market. Being a single source manufacturer, with world-class facilities in Ocala, Florida, and Hamburg, New York, E-One provides world-class service, competitive warranties, and thorough training. 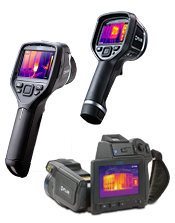 FLIR - FLIR is the Global Leader in the Design, Manufacture and Marketing of Thermal Imaging Infrared Cameras. FLIR Systems Inc, is a leading manufacturer of innovative imaging systems that include infrared cameras, aerial broadcast cameras and machine vision systems. Their products play pivotal roles in a wide range of industrial, commercial and government activities in more than 60 countries. Pioneers in the commercial infrared camera industry, FLIR has been supplying thermography and night vision equipment to science, industry, law enforcement and the military for over 50 years. From predictive maintenance, condition monitoring, non-destructive testing, R&D, medical science, temperature measurement and thermal testing to law enforcement, surveillance, security and manufacturing process control, FLIR offers the widest selection of infrared cameras for everyone, from beginners to professionals. With over 60 offices and the largest installed infrared camera base in the world, FLIR offers its customers unparalleled service, the best post-sale technical applications support available and world-class infrared camera and thermography applications training. Please see our products page for other item lines we represent.